They’re the kind of illnesses that can change your entire life. Recovery can take months, and the impact can linger for years. They’re grim – and that’s before you even consider the financial implications of being out of work for so long. 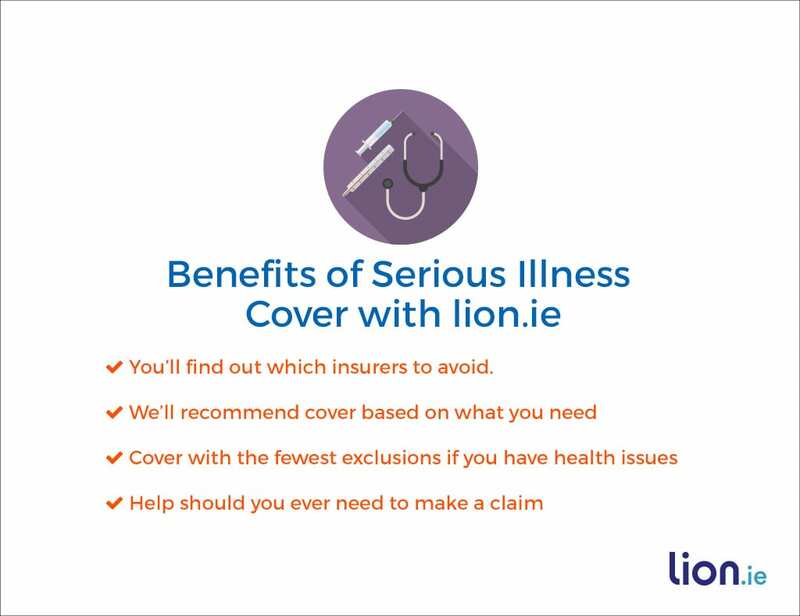 Serious Illness Cover (sometimes called Critical Illness Cover or Specified Illness Cover) pays you a lump sum if you get sick with one of the illnesses listed on your policy. If you’re ill, the last thing you need to worry about is money, so Serious Illness Cover can be a major relief – and it can let you focus on the important thing: getting better. A tax-free lump sum if you’re out of work because of one of the serious illnesses in your policy. Covers a wide range of illnesses, from types of cancer through to MS or liver failure. You’ve the option to buy inexpensive Cancer Only Cover. A little cover goes a long way, so it’s not as pricey as other types of insurance. Some insurers offer additional benefits like hospital cash, one-to-one support, broken bones payment or a personal accident benefit. 9 in 10 claims are paid out. I compare all six insurers so you get the best deal for you. I also offer fully impartial advice so you don’t get tripped up by your insurer in the future. How much will it cost to protect myself? For example, did you know that you should NEVER bundle Serious Illness Cover and Mortgage Protection because the bank get the pay-out if you get a serious illness. That’s cheeky – and it’s also not something the banks are in a rush to disclose.